Tusk Clutch Cover Gaskets are made from quality materials to meet or exceed OEM requirements. These gaskets are made to replace the stock clutch cover gaskets with the same fitment and sealing properties but at a better price. Some clutch cover gaskets are a synthetic fiber type gasket while others are a rubber O-ring style. 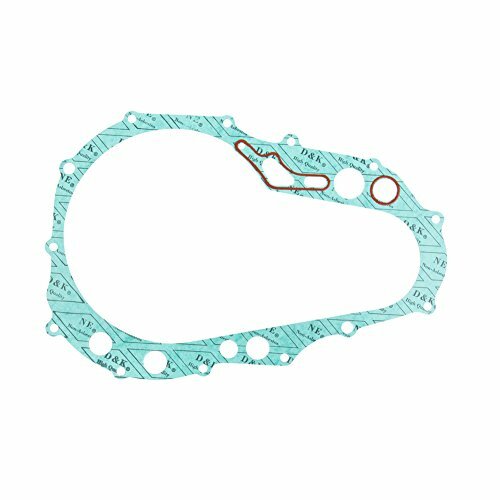 The Tusk gasket will match your machine's requirements (same as stock). Replacing the clutch cover gasket is a must whenever the cover is removed to ensure proper sealing. Tusk Clutch Cover Gaskets are made from quality materials to meet or exceed OEM requirements but at a better price. The clutch cover gasket will match your machine's requirements (synthetic fiber type or rubber O-ring type). Gaskets should always be replaced when installing a new clutch or anytime the clutch cover is removed. MASSIMO MB200 SUPERSIZED 196CC MINI BIKE - SHIPPING & WARRANTY INCLUDED!